There is, some people might argue, no real reason why either a person who enjoys shopping on-line or merchant who accepts credit cards on-line should really have to care about the details of just how on-line credit card processing actually works. As long as the transaction is secure, the merchant gets their money and the customer gets their goods then what else is there to care about? A customer browses through an e-commerce website and if at some point they do decide they want to make a purchase they will “place” it in their electronic shopping cart. There are a number of different shopping cart software programs available for merchants to choose from but most of them operate in the same way. From a customer’s point of view the most important considerations here are that the transaction will be secure and that they enter their information correctly. One way to determine that a site is secure is to look for a lock icon, either in the lower left or the lower right corner depending on your browser. This is not just a picture though. If you click on the lock it will actually display the security settings of the website you are on. In addition when you have navigated to a secure payment page on any website the url should change, from “http” to “https”, with s standing for secure. Some sites will also display a sign that announces their secure status but that alone should not necessarily be trusted. As a customer inputs their information it is important that it is all correct as even the tiniest mistake can result in the credit card being declined. The billing address must match the one on file with the credit card issuer exactly, because this is one of the things that will be used to determine whether or not a transaction can be approved. Once the credit card and shipping information has been entered and the customer hits “enter”, from their point of view all there is to do now is sit and wait. The “money’ itself is very busy though and in most cases as it makes its way towards the merchant’s bank account it shrinks as well. After the customer has entered their information it is encrypted and then sent on to a payment gateway. From the payment gateway the information is sent to the institution that issued the credit card, where the details are checked and verified, including whether or not a person has sufficient funds available to them to make the purchase. If the transaction is declined for any reason that information is relayed back to the payment gateway and the customer in front of the computer is asked to enter another form of payment (most businesses are not tactless enough to simply display “your card has been declined”!) If the transaction is approved though the customer is informed that their transaction is complete. The money’s journey is not complete though. Now that the transaction has been approved the money is sent to the website owner’s merchant account. Once there it does get to rest for a day or so until it is withdrawn by the merchant and deposited in their traditional bank account. There are fees involved at every stop of a credit card payment’s journey. For example, if a customer pays $100 for their purchase only about 97 of those dollars will actually end up in the merchant’s bank account after the payment gateway and assorted processors have taken their fees. It is for this reason that many smaller merchants, both on and off line still have minimum purchase amounts, to help cover those fees. For a great many people the days of writing checks to cover their bills and popping them in the mail are long gone. 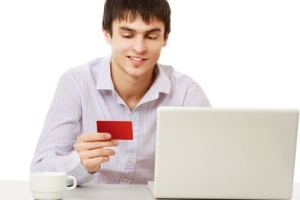 More and more companies are offering on-line bill pay and more and more customers are signing up. Many also offer a recurring authorization option, basically meaning that provided you have the funds on your credit or debit card to cover the charges you should never be late with a bill payment again. Recurring on-line credit card payments are processed in the same way as one time payments and the same fees are charged to the merchant as although the credit card’s validity has already been established that the funds are available has to be verified with the issuing bank every time the card is charged.